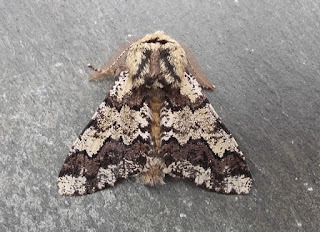 Oak Beauty was the visual highlight in the Warndon garden trap last night plus Diamond-back Moth, 8 Common Quakers, 2 Hebrew Characters and 5 other species. 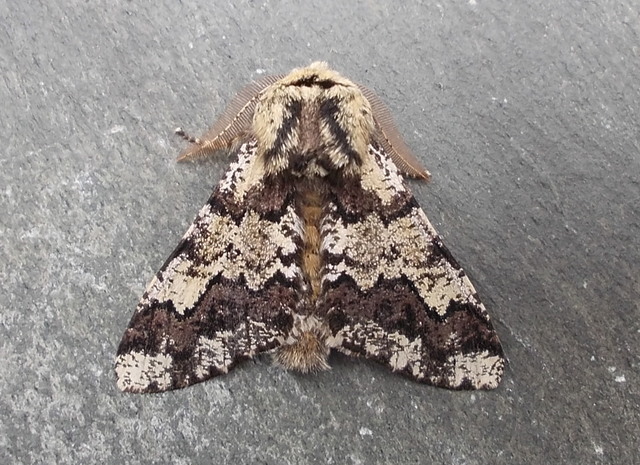 The battery actinic at Trench Wood till midnight was very productive for a single trap with March Moth, The Engrailed, 3 Spring Usher, 8 Pale Brindled Beauty, 6 Small Brindled Beauty, 25 Chestnuts, 6 Dotted Border and The Satellite. A mating pair of Dotted Border were torched on spindle near the gate just prior to midnight. That's an impressive haul Steve.